and with that Lemire lets us look into the mindset of Jepperd. Is he a realist, a nihilist, suicidal or homicidal. Or something more mercenary or more sinister? Or is he just capable in a hostile situation? Lemire will reveal the answers to this in time. 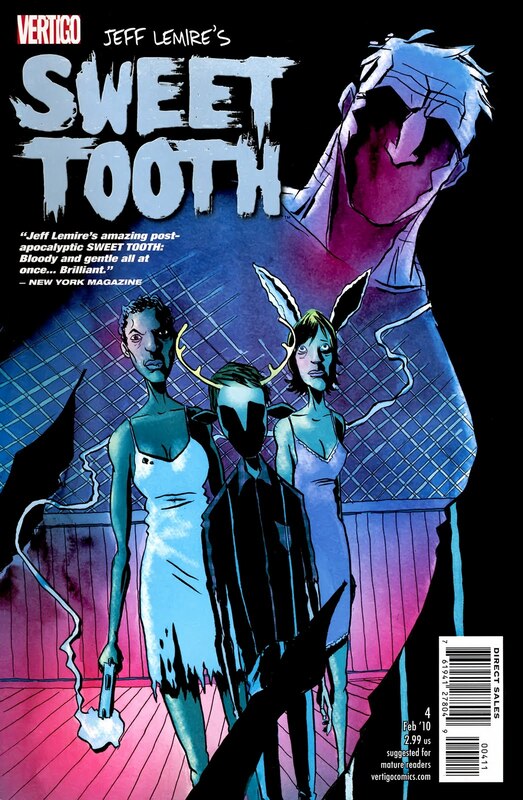 In the meanwhile, we will no doubt see more effortless quality in further installments of ‘Sweet Tooth’. A highlight of 2009, this is a major work in progress, and a delight to read.